A building in Bartram Village. Bartram Village, a housing neighborhood alongside the Schuylkill River in South Philadelphia, is slated to receive a $1.3 million federal grant that will help redevelop the 76-year-old homes. 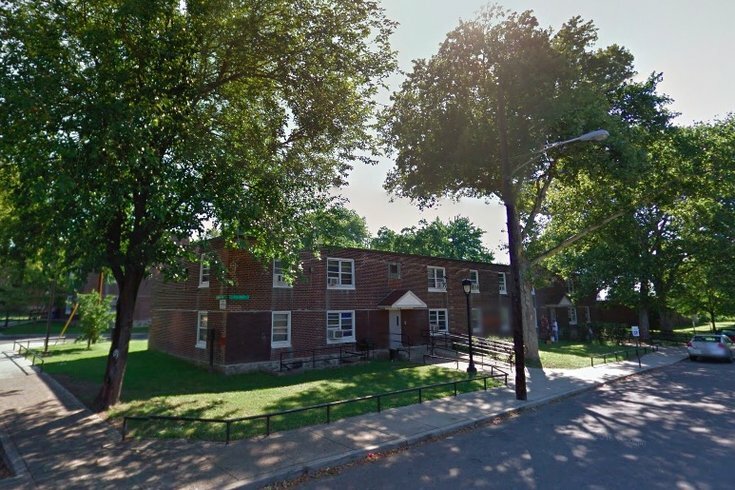 The Philadelphia Public Housing Authority received the grant from the U.S. Department of Housing and Urban Development (HUD) through the Choice Neighborhoods Initiative (CNI). One million dollars will be allocated for physical projects and $300,000 is reserved for planning costs. CNI works to serve specifically distressed neighborhoods or housing projects and give way to their revitalization. Bartram Village, which includes 500 homes across 22 acres, could use a bit of a facelift when it comes to energy efficiency and other amenities, PHA said in a statement. “We look forward to working with the residents and stakeholders of Bartram Village and the Kingsessing community in this multi-year planning process,” PHA President and CEO Kelvin Jeremiah said in a statement. Curbed reported that Pennrose Properties will undertake the redesign project, though it has not yet been determined whether the changes will call for demolition. The homes at Bartram Village are noted as among the oldest in all of city's public housing stock. PlanPhilly reported that, despite the possibility of demolition, all current residents are guaranteed the right to return, though fear of displacement is still high among residents.